Sage is a hardy perennial with soft, grayish green leaves. Its flower colors vary; they can be purple, pink, blue, or white. Common sage is used most commonly for cooking; it's a classic in stuffing. 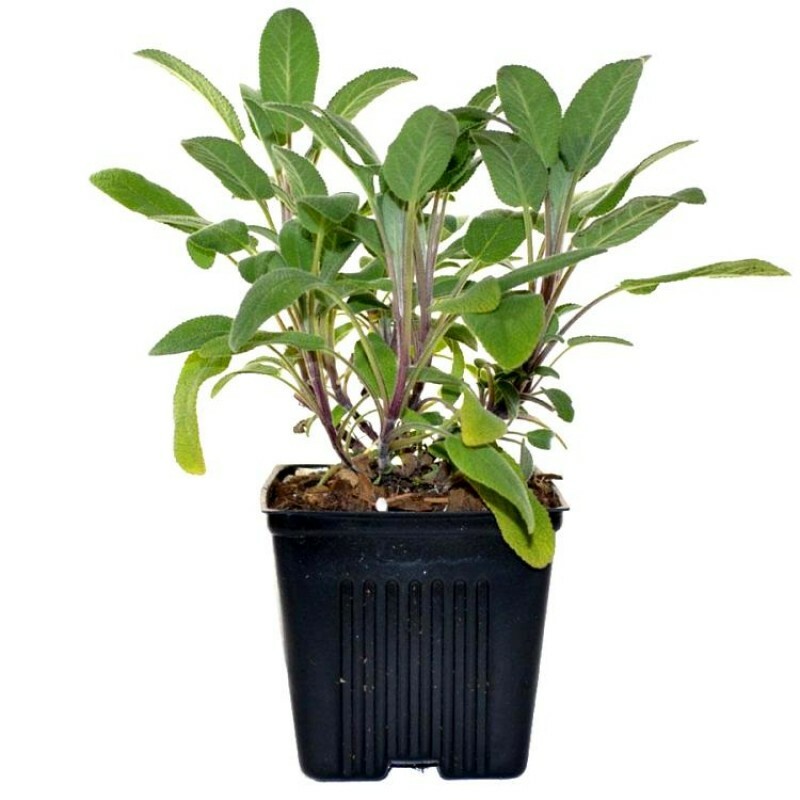 Common sage is attractive; however, there are several cultivars that are even more ornamental because of their leaf color. Purple sage, golden sage, and tricolor sage can add great variety and accent to the garden, although all tend to be less hardy than regular sage. You can start the seeds/cuttings indoors 6 to 10 weeks before the last spring frost. Plant the seeds/cuttings 24 to 30 inches apart. For best growth, the soil should be between 60º and 70ºF. Plants should grow to be between 12 and 30 inches in height. In the garden, plant near rosemary, cabbage, and carrots, but keep sage away from cucumbers. Be sure to water the young plants regularly until they are fully grown so that they don't dry out. It's best to replace the plants every 4 to 5 years to ensure the best quality. After the first year. be sure to leave a few stalks so that the plant can rejuvenate. If fully established, one plant can be harvested up to three times in one season. Sage's flavor is best when fresh, but it can be stored frozen or dried. To dry, leave the branches in the sun; once dried, remove the leaves and store them in an airtight container. Rare herb plant & medicinal plant.